This carry can be done on either shoulder and if you use it often, it is wise to switch off shoulders. 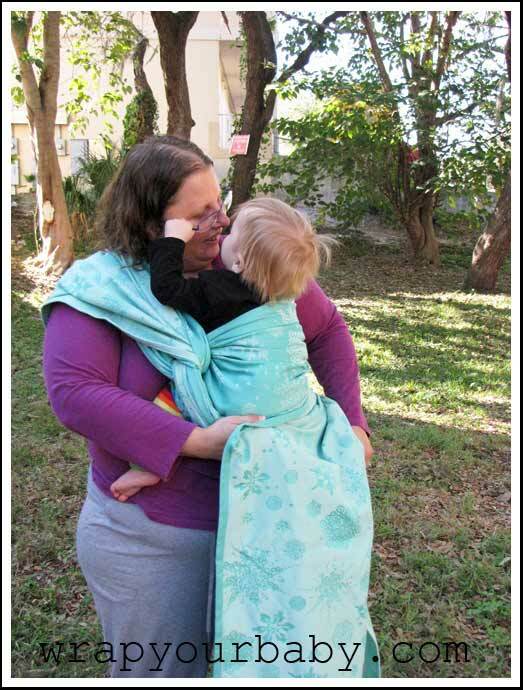 The photos for this tutorial were done with a 4.6 meter Natibaby Winter wrap. 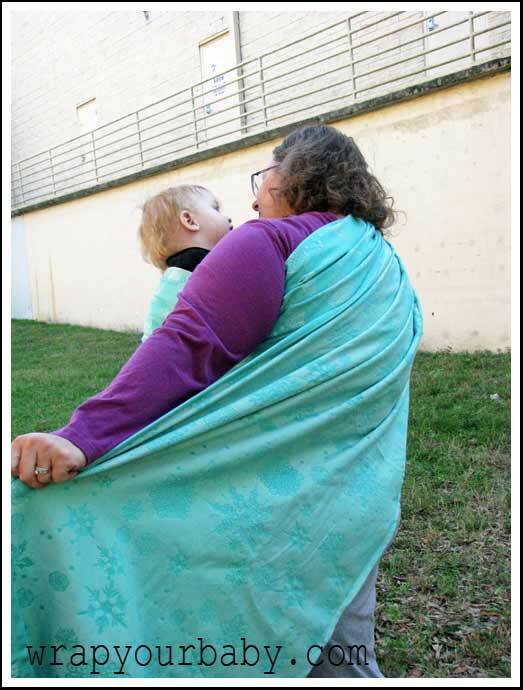 It can be done with a much shorter wrap when tied under baby’s bottom: see Step 13 below. Step 1. Place the middle of your wrap over one shoulder (will be using right shoulder in this tutorial). 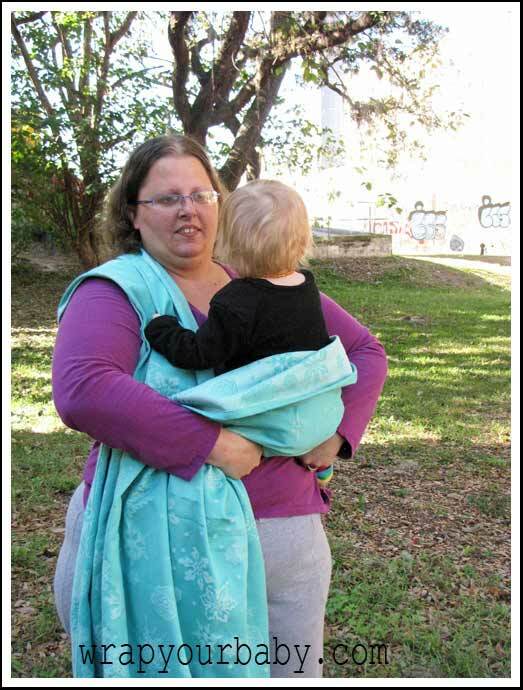 Hold your baby with your right arm and reach behind your back with your left arm to grab the top edge of the wrap. your back and around your left hip. Step 3. 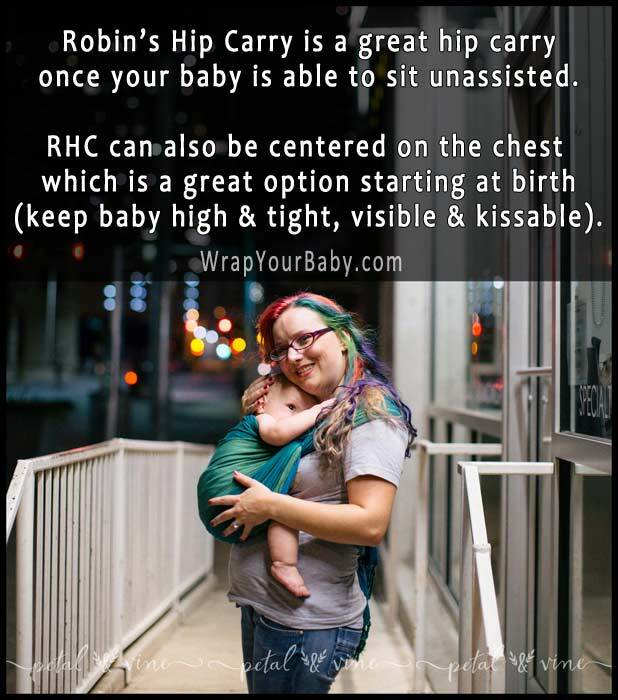 Bring the wrap under your left arm and create a good seat under baby by positioning knees higher than bottom and making sure there is a good amount of wrap tucked under his bottom and extending all the way to both knees so some is actually up between your two bodies. 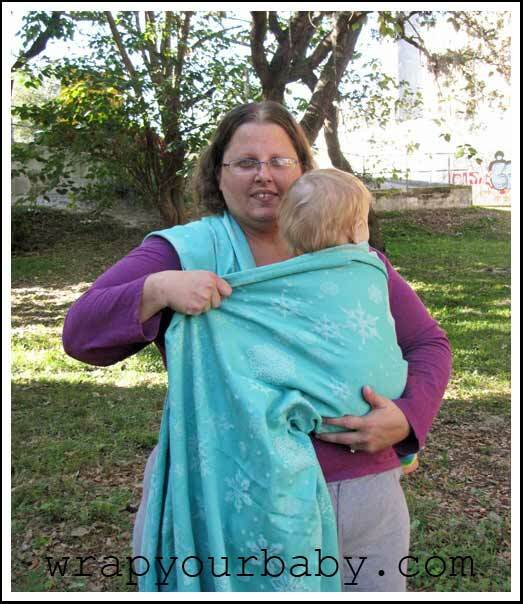 pull the top of the wrap up to baby’s shoulders. OVER the wrap coming from over your shoulder. Step 6. 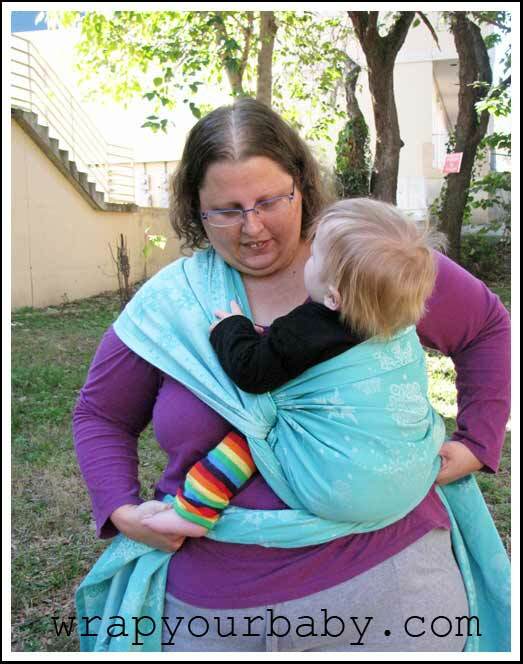 And bring the end that was coming from over your shoulder back up and over the same shoulder so it makes a loop around the end of the wrap that is around your baby. Step 7. 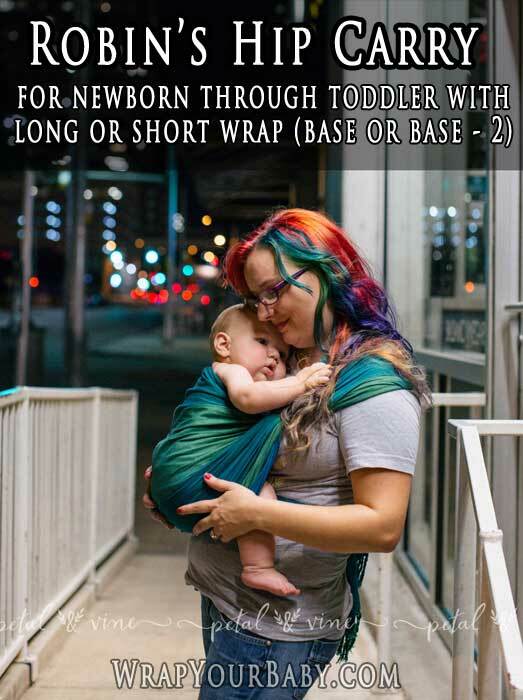 Now hold your baby and the one wrap end in your right arm and bring your left arm around your back to grab the top edge of the wrap hanging over your shoulder. Pull to take up the slack and tighten up the carry in front. Step 8. 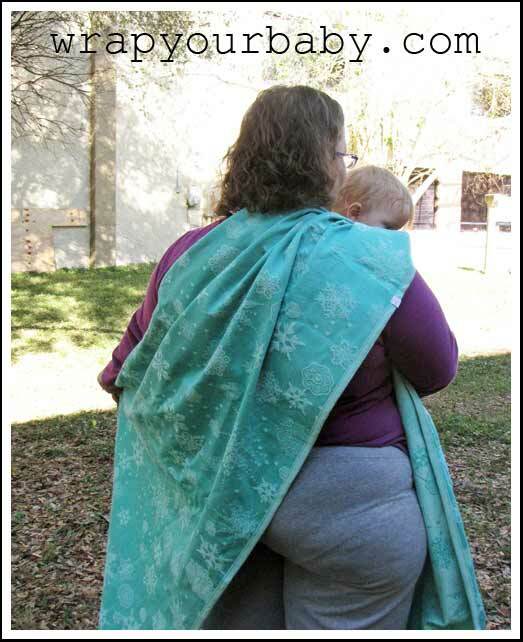 Bring the wrap under your arm and gather it in front (it should come over baby’s right leg). Step 9. 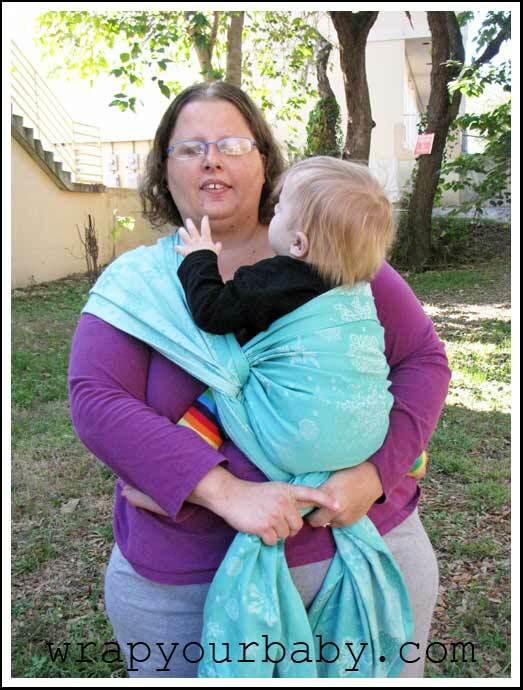 Tie a double knot under your baby’s bottom if you are using a short wrap and you’re done! This photo is a better example of the most comfortable positioning of the twist which you should aim for having up closer to your shoulder. 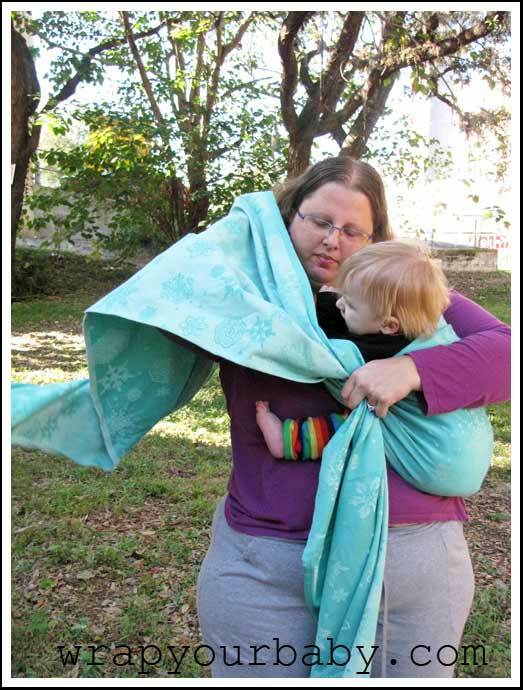 Work on placement in steps 6, 7, and 8 by pulling on the wrap coming over your shoulder from the twist until the twist is hiked up to just below your shoulder – just check it frequently as you do the carry and re-adjust to bring it higher anytime it creeps lower. 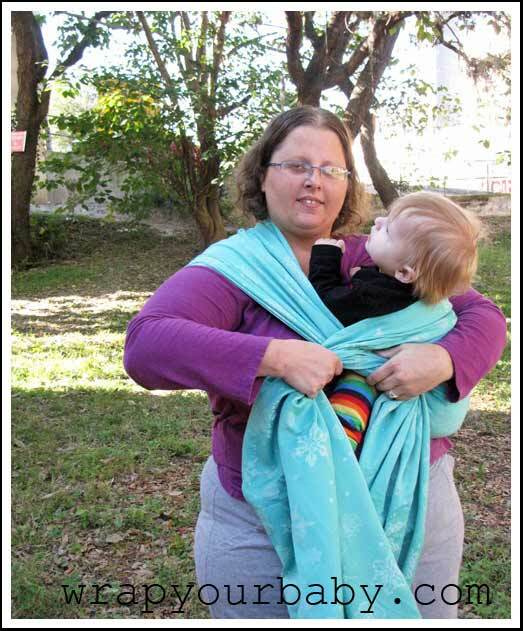 Instead of tying a knot under bottom, cross the two wrap ends and bring under each of baby’s legs. 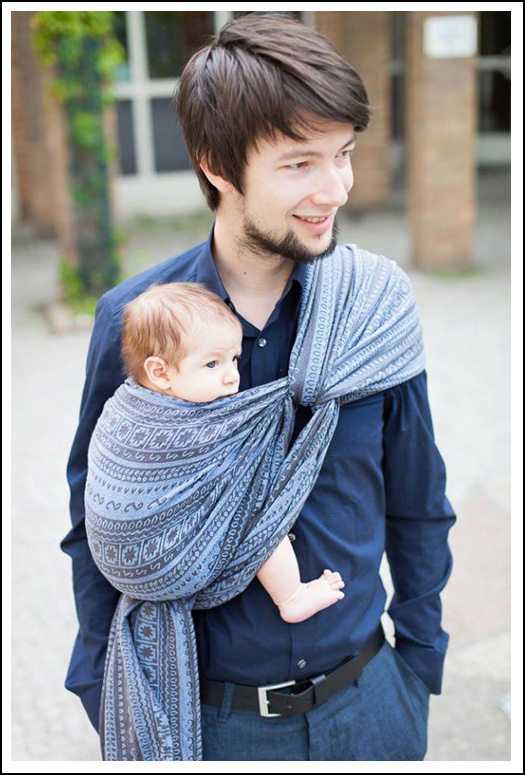 Bring under your baby’s legs and to the back where you can tie your double knot or square knot. 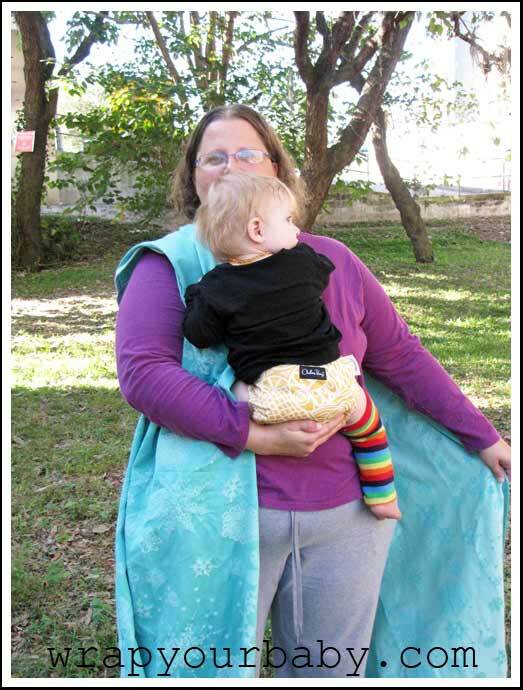 Use Robin’s Hip Carry as a hip carry or a front carry. 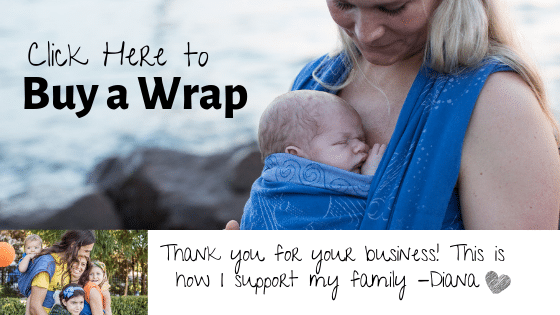 As with all wrap carries, baby’s arms can be tucked in with the wrap pulled up for head support, or when head support is not needed (older or alert baby), arms can be out of the wrap if baby prefer’s that.